Queen Elizabeth II spent her Valentine's Day in a way only a head of state could: on a date with her husband at the opening of the National Cyber Security Centre in London. Romantic! Here's a look at the jewels she wore for the occasion. 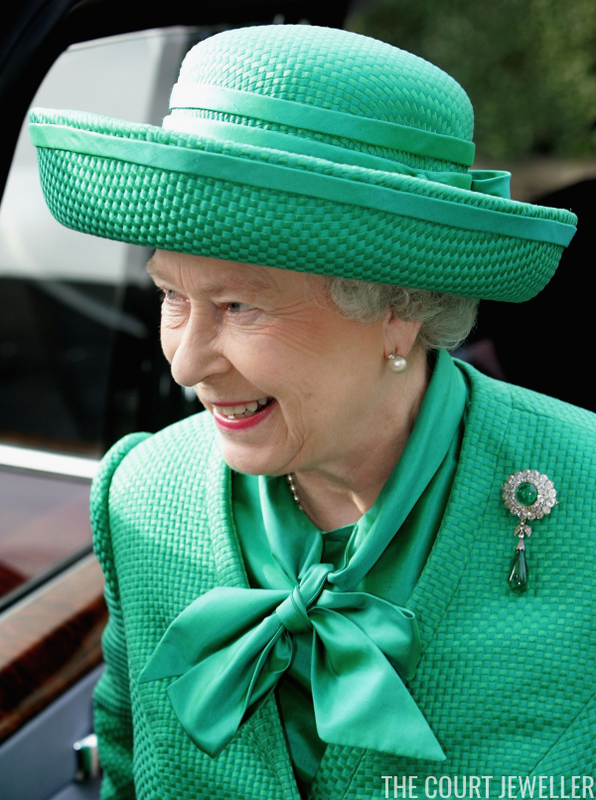 Along with her usual pearl earrings and necklace, the Queen wore one of the brooches from the Cambridge emerald suite. 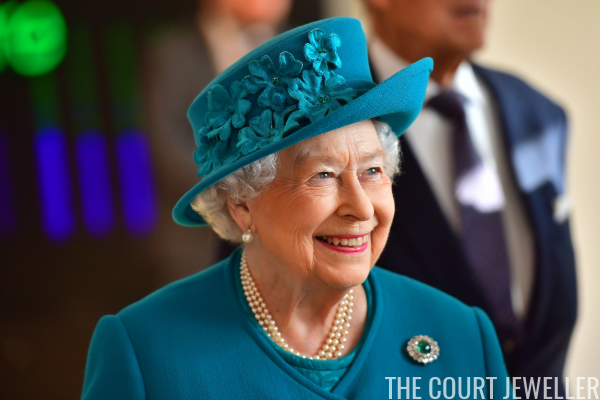 (Which, coincidentally, we talked about in this morning's Romantic Royal Jewels post!) This is the rounder of the brooches, which features a double cluster of diamonds surrounding a cabochon emerald. 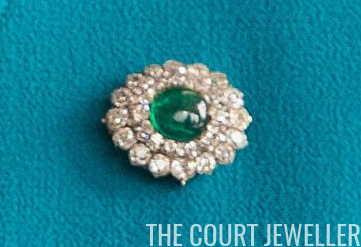 The complete brooch features an emerald drop pendant. You can see the Queen wearing the full brooch in the photo above, which dates to October 2005. 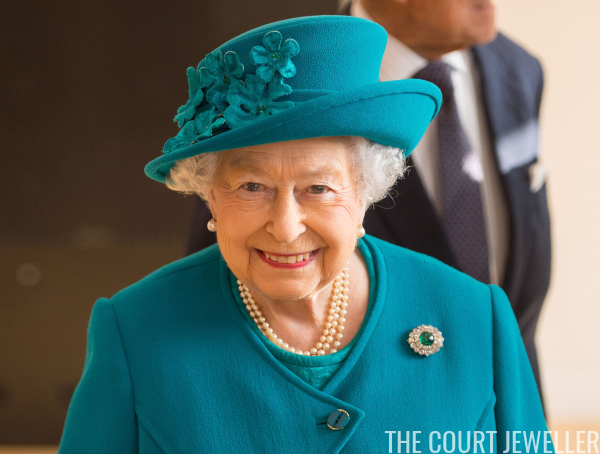 In recent years, she's often just worn the cluster section of the brooch. It's so good to see Liz out and about again looking happy and glorious, isn't it?